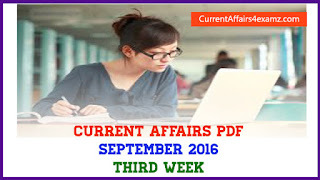 Hi Aspirants..Here is the Online Current Affairs Quiz for 24 February 2016. Trending topics for the day include International Mother Language Day, new Chairman of National Human Rights Commission, IBSAMAR 2016 etc. Attempt the quiz & share your score. 1) Ottal (The Trap) has been named as best feature-length and best short films in the children’s category at the 2016 Berlin International Film Festival. Ottal is a ____ film? 2) Prime Minister Narendra Modi on 21 February 2016 launched the National Rurban Mission (NRM) from Kurubhat in Rajnandgaon district of? 3) International Mother Language Day is observed on? 4) Which former Chief Justice of India was recently selected as the new Chairman of National Human Rights Commission (NHRC)? 5) The fifth edition of IBSAMAR 2016 trilateral naval exercise between Brazil, India and ____ kicked off in Goa on 24 February 2016? 6) India’s first indigenously built nuclear armed submarine ____ has recently successfully passed several deep sea diving drills as well as weapons launch tests? 7) Which country will host Asia Ministerial Conference on Tiger Conservation from 12 April 2016 to save tigers? 8) World’s first fast-acting anti-rabies drug Rabies Human Monoclonal Antibody (RMAb) will be launched in which country as announced recently? 9) The 42nd edition of world famous Khajuraho Dance Festival began on 24 Feb at Khajuraho in Chhatrapur District of? 10) Which country's Parliament building recently became the first in the world to completely run on solar power?